I made this last night as a birthday present for the master. However, last night’s connection was horrible; it was the rain, I suppose. And this morning I totally forgot about it. Thank you for the inspirations you’ve given us, even after you’re gone. 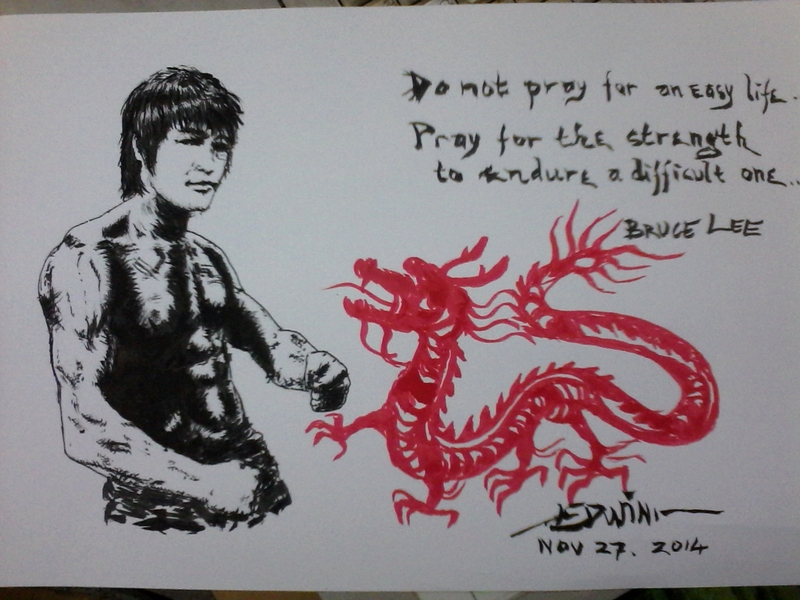 ~ by edwinlives4ever on November 28, 2014. Will watch The Crow tonight. I know I know it’s his son but I love the movie and I have not seen it in ages. SCTV once aired all his films in a semi-marathon week. Don’t ever want to be able to do something somebody’s way. Just do it your own way.